A new report from piracy tracking outfit MUSO shows that visits to pirate sites dipped slightly last year. 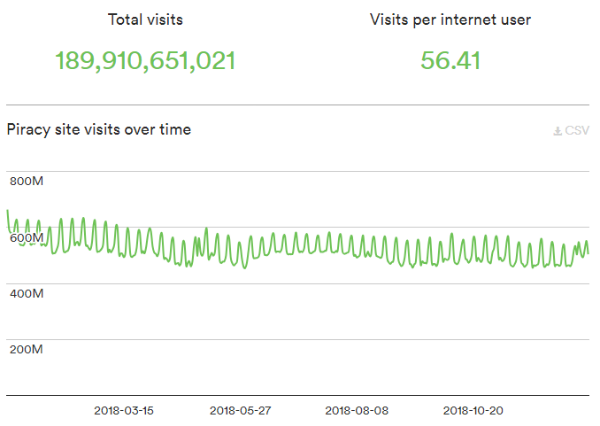 The company recorded a total of 190 billion visits in 2018. TV and movie streaming portals are by far the most popular, while the United States remains the top source for these sites. U.S music and movie industry companies have exported their pirate site blocking scheme to countries all over the globe. These efforts have been quite successful and decreased the number of visits to pirate sites, according to the MPAA. On Hollywood’s home turf, however, pirate sites remain freely accessible. This is peculiar, not least because the United States remains the prime traffic source for many of these sites. New research released by piracy tracking outfit MUSO confirms this once again. Drawing on data from tens of thousands of the largest global piracy sites, the company found that the United States is the country that sends most visitors to pirate sites. 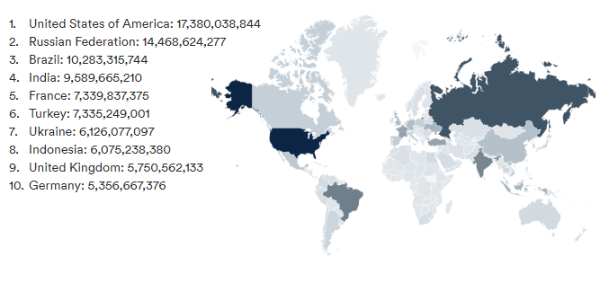 With well over 17 billion ‘visits’ the U.S. takes the lead ahead of Russia, Brazil, India, France, and Turkey. The top ten is completed by Ukraine, Indonesia, the UK, and Germany. That the U.S. is the top source doesn’t come as a surprise. The country has one of the largest populations in the world and is relatively well-connected. Based on the number of visits per Internet user, the list would obviously be different. Looking at the broader picture MUSO reveals that visits to pirate sites have dipped slightly, from over 206 billion in 2017 to less than 190 billion a year later. This downward trend applies across the board and affects torrent, streaming, download, and stream-ripping sites. Streaming sites remain by far the most popular. More than half of all pirate site visits went to streaming platforms. Direct download sites come in second place with 22% and public torrent sites are in third, with around 13% of all visits. Stream-ripping portals, which are generally seen as the most severe threat to the music industry, make up ‘only’ 4% of the total volume of pirate site traffic, which equates to 7.7 billion visits. It has to be noted though, that stream rippers, as well as the other sites, can have legal uses as well. Looking at the various types of pirated content, TV remains the most popular. Close to half of all pirate site visits were related to TV content, followed at a distance by movies, music, publishing, and software respectively. According to Andy Chatterley, MUSO’s CEO and co-founder, the fragmentation in the TV industry is one of the reasons why piracy remains relevant. People often need a variety of subscriptions to see all the shows they want. “Digital piracy is still prevalent globally. Television is the most popular content for piracy and given the fragmentation of content across multiple streaming services perhaps this isn’t surprising,” Chatterley says. MUSO sees the massive pirate audience as an opportunity for rightsholders, instead of it being just a threat. Understanding when and what people pirate can help the entertainment industry to convert pirates into paying customers. One final data point that’s worth mentioning relates to search engines. MUSO notes that, compared to the year before, more people bypass search engines and visited pirate sites directly in 2018. Fewer search engine referrals may be a sign that takedown notices are working, perhaps in combination with Google’s downranking strategy. However, people can still find their way to pirate sites. “Simply focussing on take-downs is clearly a whack-a-mole approach and, while an essential part of any content protection strategy, it needs to be paired with more progressive thinking. With the right mindsight, piracy audiences can offer huge value to rights holders,” Chatterley notes. 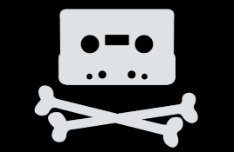 While the data offers an intriguing insight into the piracy landscape, it only covers part of it. Many people use streaming boxes or mobile apps nowadays. These are not included in MUSO’s dataset, which relies on data provided by SimilarWeb, among other sources. MUSO’s dataset covers visits to pirate sites only, which isn’t an exact science it appears. Last year the company reported that there were roughly 300 billion pirate site visits in 2017. This number has now been readjusted to 206 billion. According to MUSO, this is because one of their data providers significantly scaled down mobile visit estimations. In any case, the relative comparisons and broader trends remain the same, and the United States still has more pirate site visits than any other country in the world.